5 34 Be the first to write a review! The Pet Parade self warming pet blanket by Jobar keeps pets warm and comfortable. Self Thermal insulation no wires to plug in or battries to change. 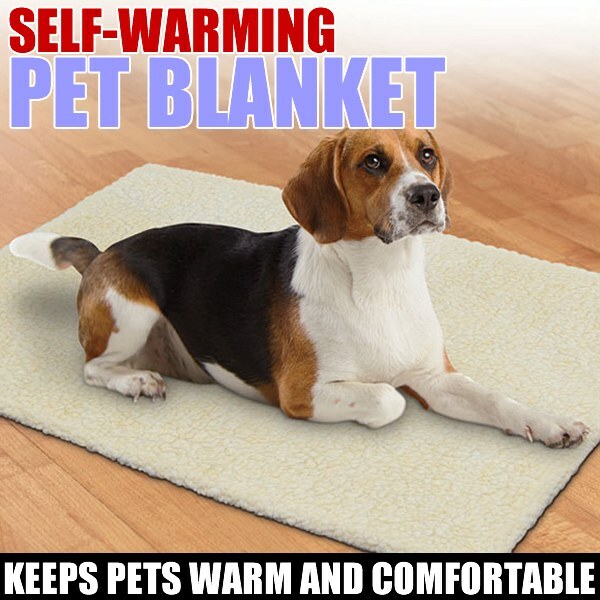 The Pet Parade self-warming pet blanket by Jobar keeps pets warm and comfortable. It has a reflective inner layer that radiates body heat. It contains 4 layers for maximum warmth. A Soft washable cover, a heat reflecting layer, a thermal insulation layer, and a non-slip base.